Retail stores, work settings and other places you visit may not be as safe as you expect or hope. When the owners and/or managers of these properties fail to keep them safe, accidents can happen, seriously injuring people. At Koron & Podolsky, LLP, our Sherman Oaks premises liability attorneys are dedicated to helping people injured on unsafe properties pursue justice and compensation. Skilled at advancing injured people’s interests in any legal setting, our lawyers are ready to help you hold negligent property owners accountable so you can reclaim your life and focus on your recovery. 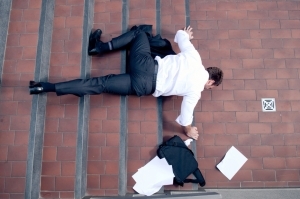 After being harmed on unsafe premises, contact our Sherman Oaks personal injury attorney for help with your recovery. Dog bites and/or animal attacks. To find out more about your options for financial recovery after a premises liability accident, call one of our attorneys today at (818) 380-3077. You can also email us using the contact form on this page.